Not a minute today to tweet or mess about on social media, I’ve been up on the scaffolding painting my freezing little fingers off and getting a good oil based undercoat on our four new timbers windows which arrived yesterday. There’s no time to waste as we’re losing the scaffolding around the garage tomorrow so I wanted the lads to fit it’s window to make it easier for both them in the fitting, and me in the painting! My hands are bright red from the cold, but very trendy, looking the same russet Marsala colour as Pantone’s 2015 Colour of the Year announced today. The one pictured above is in the garage above the main opening to allow natural light into the workshop even when the door is closed. On the left is 11am, middle is 12pm and on the right is 2pm! The glass is all fixed with no openers, so it was fairly straightforward to paint and I opted for an oil based external undercoat as I think (personal opinion) these are more robust and longer lasting than water based undercoats, especially for outside decorating. I’m Old School. The windows came ready primed which is the pale grey in the middle and then dark grey is the undercoat. If this wonderful weather holds out I’ll get a coat of Railings on tomorrow. So why timber? Why not upvc like so many other properties locally? I guess I could have opted for a dark grey upvc and some people would never be able to tell but you know, I just wanted wood. We’ve gone to so much trouble with the materials, sourcing and finding reclaimed brick and slate, and for me, properly done and maintained timber is so much more sustainable. It may have been slightly cheaper to buy the upvc and I also wouldn’t have needed to paint but then I wouldn’t have the lovely Railings colour externally. And I’d have plastic in my interior design on the internal frames, which wasn’t floating my boat really. From a security perspective both are equally good, with solid espagnolette locks and handles fitted in the newly made timber windows just as lockable and secure as double glazed plastic units. No rest for the wicked, now I’m off to get a new set of tenants into a Moregeous rental when all I want do is lie down with a stiff gin and a Chinese takeaway! 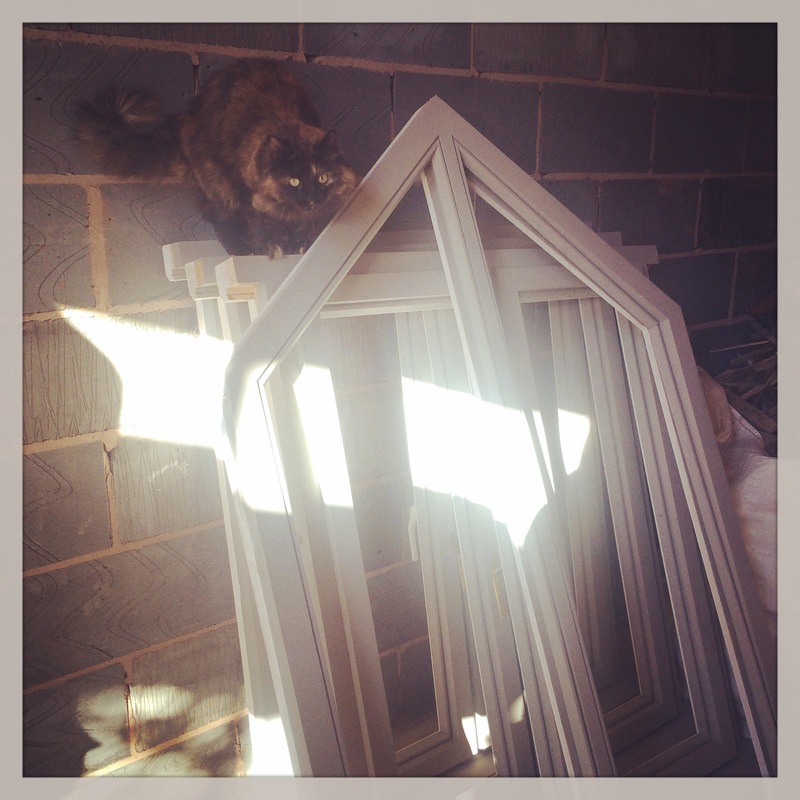 diy, Home, Home Decor, Home renovation, replacement timber windows to period property, UPVC or timber windows?